The Home Depot is offering Up to 35% Off Select Ladders & Building Equipment plus Free Shipping. 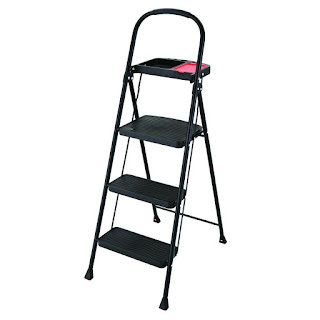 I grabbed this Rubbermaid 3-Steel Step Stool with Project Tray 225lb Load Capacity for ONLY $24.57 (Retail $37.80). Browse around for what fits your needs. Valid 4/13 or while supplies last.